So we recommend our customers to plan orders with this in mind to ensure timely delivery and make sure has enough stock at your side. You can go ahead, or postpone your order. Please feel free to contact us at +86-755-2909-1601, or sales@metal-domes.com with any questions. We wish you and your family a wonderfuly holiday season and we thank you for your continued supporting, and hope your business will become better and better in new year 2018. If any interested in flexible PCB, please don’t hesitated to contact us. We can providesingle layer, double layer, Muti-layer flexible PCB and rigid-flex to you. Happy ending in 2017, New Challenge in 2018! In 2017, All the guys in Best Technology have many good and warm memories. 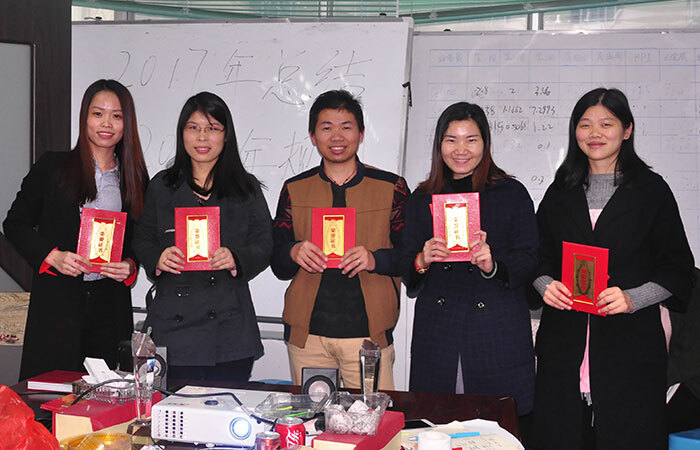 Everyone has worked hard, and was busy for US$500 sales target in the past year 2017. 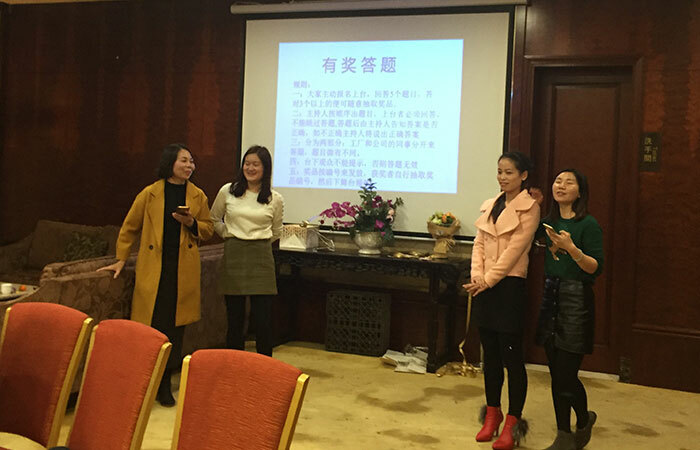 Finally, we finished the sales goal successfully. 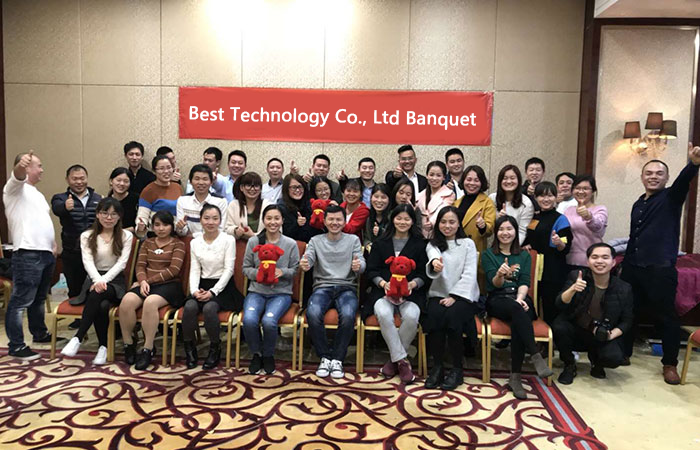 On Jan 28th, 2018, Best Technology hosted a wonderful evening party to celebrate the new year. We will keep going and do the best partner of flexible printed circuit board in Asia. At 5 PM, We started the night party. 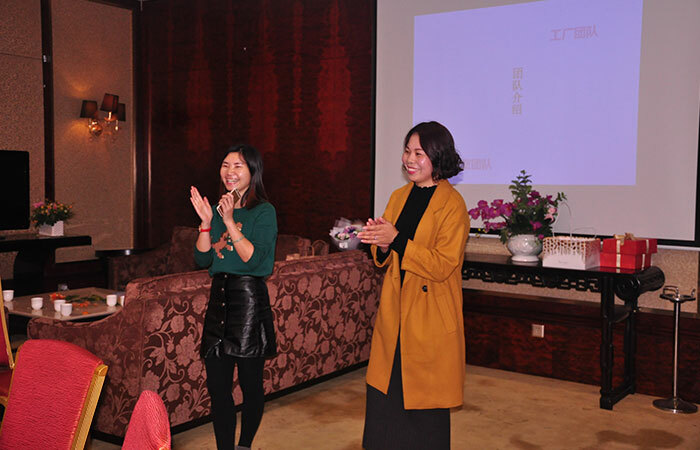 Under the host of two beautiful ladies, Miss Connie and Miss Luo, we have a wonderful and joyful starting. Then the game time, it’s fantasizing. Win the games, and then you can got the gifts. Hands up quickly, and be smart during the game. You can win the prizes easily. Best Technology have prepared many different kinds of gifts. After the games, we sang together. 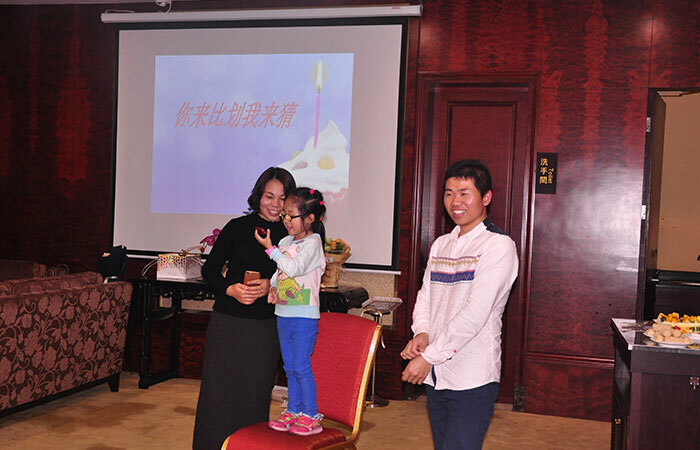 Mr Gui also played a magic, and everyone thought it’s funny and laugh loudly. Took a family picture, very nice, seems everyone had a good time. At nine PM, Evening party was end. If any interested in flexible PCB, please don’t hesitated to contact us. We can provide single layer, double layer, Muti-layer flexible PCB and rigid-flex to you.